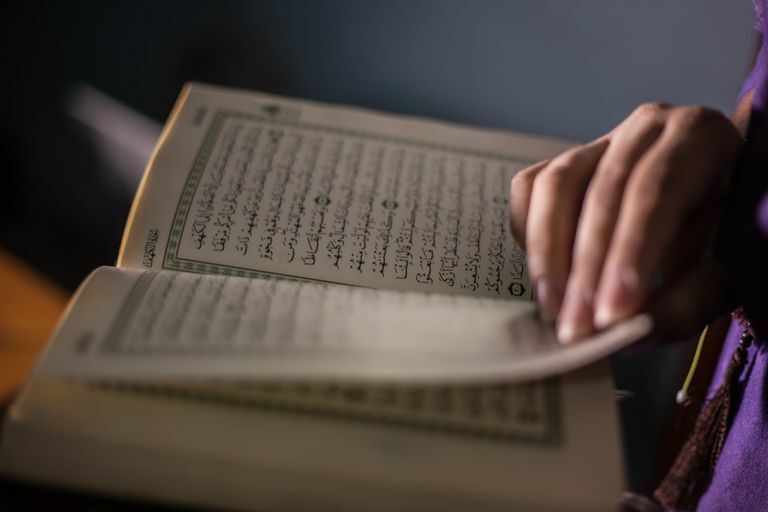 Does the Qur'an Say to "Kill the Infidel?" Some people maintain that there some verses of the Qur'an -- Islam's holy book -- that condone "killing the infidel"? It is true that the Qur'an commands Muslims to stick up for themselves in a defensive battle -- in other words, if an enemy army attacks, then Muslims are to fight against that army until they stop the aggression. All of the verses in the Qur'an that speak about fighting/war are in this context. It is clear from the context that these verses are discussing a defensive war, in which a Muslim community is attacked without reason, oppressed and prevented from practicing its faith. In these circumstances, permission is given to fight back -- but even then Muslims are instructed not to transgress limits and to cease fighting as soon as the attacker gives up. Even in these circumstances, Muslim are only to fight directly against those who are attacking them, not innocent bystanders or non-combatants. A similar verse can be found in chapter 9, verse 5 -- which in its snipped, out of context version could read: "fight and slay the pagans wherever ye find them, and seize them, beleaguer them, and lie in wait for them in every stratagem (of war)." Again, verses preceding and following this one give the context and create a different meaning. This verse was revealed during a historical period when the small Muslim community had entered into treaties with neighboring tribes (Jewish, Christian and pagan). Several of the pagan tribes had violated the terms of their treaty, secretly aiding an enemy attack against the Muslim community. The verse directly before this one instructs the Muslims to continue to honor treaties with anyone who has not since betrayed them because fulfilling agreements is considered a righteous action. Then the verse continues to say that those who have violated the terms of the treaty have declared war, so fight them (as quoted above). But directly after this permission to fight, the same verse continues, "but if they repent, and establish regular prayers and practice regular charity, then open the way for them . . . for God is Oft-forgiving, Most Merciful." The subsequent verses instruct the Muslims to grant asylum to any member of the pagan tribe/army who asks for it, and again reminds that "as long as these stand true to you, stand ye true to them: for God loves the righteous." Any verse that is quoted out of context misses the whole point of the message of the Qur'an. Nowhere in the Qur'an can there be found support for indiscriminate slaughter, the killing of non-combatants or murder of innocent persons in 'payback' for another people's alleged crimes. "It may be that God will grant love (and friendship) between you and those whom ye (now) hold as enemies. For God has power (over all things), and God is Oft-Forgiving, Most Merciful. God does not forbid you, with regard to those who fight you not for (your) faith nor drive you out of your homes, from dealing kindly and justly with them: for God loves those who are just."